When you are considering the type of hearing aid that fits your needs, there is more to look at than just style. The unit may sit in your ear or behind your ear. But there are other choices to be made, including hearing aid features that go beyond what the hearing aid looks like. Today’s sophisticated digital technology offers options that lead to better hearing. Many hearing aids have an automatic volume control so you don’t have to make manual adjustments. But you will have volume controls on your units in case you do want to make changes. Digital hearing aids allow for more adjustments, separating sound into different frequencies and pitches. Your audiologist programs the hearing aids to help with your unique hearing loss. Just about all hearing aids offer directional microphones, which is a big benefit. With directional microphones, you have a more natural sound because you’re hearing it from different directions. Some microphones can determine where noise is coming from and tamp it down. Many microphones have the ability to reduce the effect of wind noise so you don’t hear a whooshing sound when you’re biking, running or golfing. Others offer speech enhancement so you can hear conversation better. Just like a computer, your hearing aids can store information. For instance, they will log when you need more amplification or when you need noise reduction. Your audiologist can use the information to make customized adjustments. The units also have the ability to automatically adapt to certain circumstances, such as noisy rooms. Most hearing aids are equipped with feedback management systems so that there’s no annoying squealing sound. Feedback is caused when sound going into your ears is picked back up by the microphone. When the hearing aid detects that looping sound, it produced a signal to cancel the feedback. You may be familiar with telecoil as it has been around for a while. The processors in the hearing aid pick up electromagnetic signals, bypassing the microphone. Venues such as concert halls and churches often have a “looped” room that puts out these signals to allow you to hear the presentation better. Some hearing aids offer Bluetooth (yes, the same thing you have on your tablet and mobile phone)! This allows the hearing aids to connect to your phone or an equipped television wirelessly. Some hearing aids are waterproof, not just water resistant. It’s a benefit for sports enthusiasts. There are rechargeable batteries, offering someone with arthritis the option to make fewer battery changes. Hearing aids can be made in many colors as well. 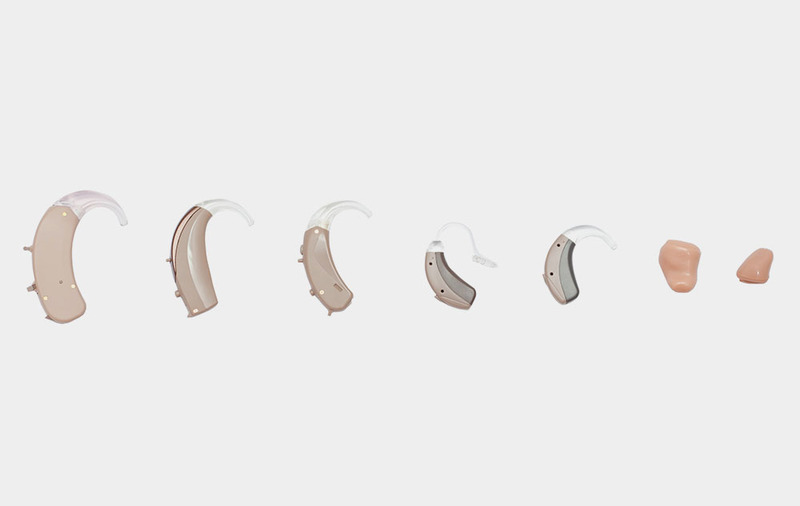 If your hearing aids are more than five years old, it may be time to think about new units. There’s a good chance some new hearing aid features are available that can improve your quality of life. Consult your audiologist to learn more.